This is a great elk hunt for large groups or corporate events. Within a stone’s throw of Steamboat Springs, Colorado lies more than 12,000 acres of pristine elk habitat on private land. The State of Colorado manages this herd for quantity, therefore the elk are plentiful and active. For that exact reasoning though, this is not typically classified as a trophy hunt opportunity – rather a fun, exciting and rewarding elk hunting experience. 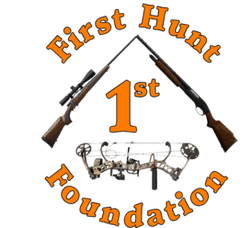 Most hunting is spot and stalk with multiple encounters for hunters on each trip out. On average guests can expect to harvest a nice 5×5 bull elk. We provide this as an average because some guests harvest smaller than 5×5 bulls and some guests harvest larger 6×6 bulls. Opportunities do exist for bigger bulls that are 300″ or bigger, but cannot be represented as an average. Maybe you will be the lucky one! If you enjoy archery hunting, you will LOVE hunting with these guides. This is an incredibly fun hunt as the elk are numerous, active and in the rut. The action is endless and you will be in the elk, every day. Excellent opportunities also exist for the muzzleloading hunter as the elk are in the rut and receptive to calls. Lodge Suites are luxuriously appointed and finished with beautiful tile and hardwood flooring, each guest accommodation features character, class and rustic elegance. All rooms are equipped with plush linens and towels, soft robes, cozy slippers, and majestic window views. Master suites, junior suites, and a festive bunkroom accommodate a variety of group sizes and dynamics at this Colorado dude Ranch. *As an alternate to the lodge, they also offer luxury wall tent hunts. The lodge offers gourmet cuisine… their experienced chefs create artistic menus of regional cuisine using fresh ingredients and quality local organic produce. A fully stocked bar and wine list is also available for your enjoyment. They are happy to cater to any dietary special requests or restrictions, simply advise upon booking your Colorado elk hunt.